Gjallar "an easy to use, but highly customizable and advanced web based issue tracker", written in Seaside and Magma by Göran Krampe and Magnus Kling, is to be released on SqueakMap with a BSD license. 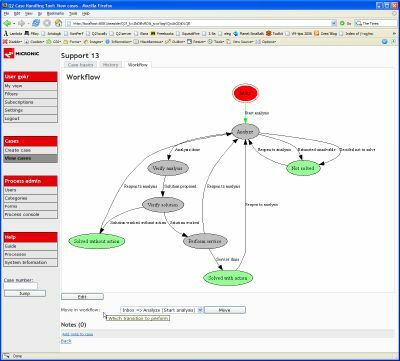 I especially like the auto-generated workflow graphs. There's some very interesting background materiel available here that mentions advanced features such as "Offline functionality with synchronization" and "Advanced workflow using dynamic forms and fields".